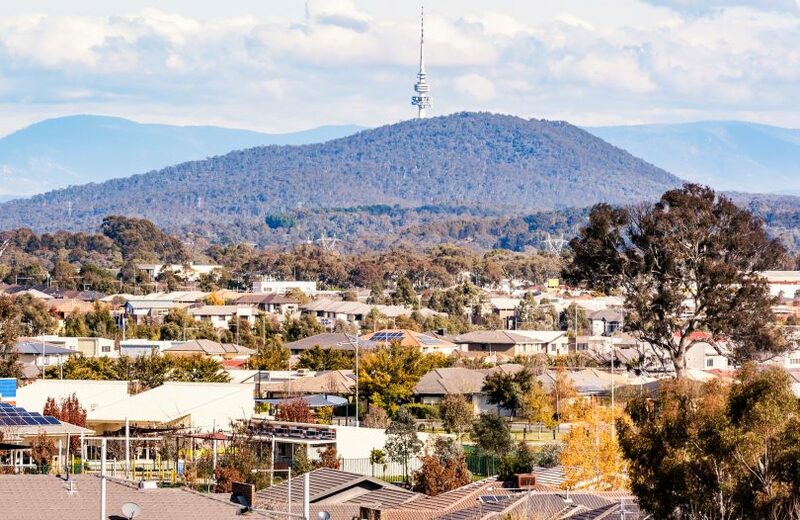 Nine hundred fewer homes will be built in Canberra over the next five years and building activity will drop by $250 million over the same period if federal Labor’s negative gearing and capital gain tax proposals proceed, says the Master Builders Association ACT. MBA ACT chief executive Michael Hopkins says the downturn will be equivalent to the loss of 680 full-time jobs. The modelling comes as tighter lending conditions take hold on Canberra’s residential market. The auction clearance rate on Saturday 20th October of 45 per cent was the second lowest this year. Mr Hopkins says housing investor loans have retreated throughout Australia, and in the ACT investor lending is down 5.8 per cent. “This is partly a response to the heavier restrictions imposed by the Australian Prudential Regulation Authority,” Mr Hopkins says. He said the figures coincided with higher land prices in Canberra and a barrage of anti-business work safety and procurement laws. The impact on home building and jobs is based on modelling by Cadence Economics which came under fire from Labor nationally when released earlier this week. The ABC quoted Shadow Treasurer Chris Bowen saying the MBA research did not model Labor’s negative gearing policy and assumes that all investors would lose access to negative gearing. “Labor’s policy is to limit negative gearing to new properties going forward, but to fully grandfather all existing investments,” Mr Bowen told the ABC. Mr Hopkins says while Mr Bowen was correct on the grandfathering issue, the drop in home building and activity in the ACT was based on forecasting after the introduction of Labor’s policies, if they were to proceed. “The MBA is calling on all levels of government to carefully consider the impact of taxation, rates and planning policies given the changing external environment,” Mr Hopkins says. “The MBA is calling on the ACT Government to maintain a long-term pipeline of infrastructure and building work to support the local industry, ” Mr Hopkins says. Negative gearing will be a hot button issue at the next federal poll. The MBA says it commissioned Cadence Economics to test Labor’s claims that its policy to restrict negative gearing to investments in new housing and halve the capital gains tax discount to 25 per cent on all properties will increase the supply of new housing and employment in the building industry. According to the MBA the modelling shows that within five years of Labor’s property tax policy being implemented, the construction of new housing would fall in all states and territories and employment would fall over the same period. There are so many complex and interlinked issues that set house and land prices. (And they differ from Suburb to Suburb, Town to Town and City to City). Any person or government who thinks they can adjust a couple of levers and cause a known effect to house prices is likely kidding themselves. Modeling future house values for all regions of Australia is nigh on impossible. If those ‘for or against negative gearing’ say their Model knows the outcome of a policy change, I would approach their claims with caution. Maybe now I will be able to get a tradie to turn up. Alex Olbrei how do you feel about this Al? Christine Rusan no, I’m not serious. I was being sarcastic. You don’t need to ask a realtor; Stevie Wonder can see the market is flooded. Price of building a house in Canberra is on the rise for multiple reasons. Building tax, GST on not only your purchase price but every trade your builder engages, stamp duty etc all the costs add up. Dont worry about stopping people from owning multiple properties lets worry about the amount of $$$ the goverment gets from every land sale and build to make it more affordable for first time buyers to enter the market. Stamp duty has been abolished. That's why we're paying higher rates. Stamp duty a small component, 450k build would have 90k of GST, (builder pays GST then you pay GST) 3-4k of builders tax charged to the builder by the government. If a first home buyer builds by split contract stamp duty 6-12k. About time!!!! Tge building rate is insane as are the prices at present. All those builders will get full time work repairing the rubbish that has been built! What rubbish. Vested interest much? It needs to happen. Buying a house is way out of reach for so many people even if they are earning good money while negative gearing only benefits those already having more than one property in thier names already. Crackdowns on home lending in light of the Banking Royal Commission will have more effect than the negative gearing policy. Also given the restrictions are targeted at only allowing negative gearing on new lending the MBA are way off the mark. Thats ok, will keep the city livable. Repurpose, renovate... don't destroy Canberra's history nor knock down livable houses, buildings etc. Negative gearing locks so many out of the market. Not convinced the MBA is on the money with their doom and gloom forecast.